It’s Christmas crafting season, so if you fancy trying something simple, why not give this a go? This is how we make cinnamon bundles in our workshop. I will be adding further autumn/winter and Christmas dried flower crafts to this website over the next few weeks. Inconveniently, cinnamon sticks give off most of their fragrance when broken up, so to use them whole, paint with a little cinnamon fragrance oil instead. A quick method is to put all the cinnamon sticks into a plastic bag, dropping in a little oil, then massaging into the sticks through the bag. These can then be carefully removed onto some blotting paper to dry. The cinnamon sticks can then be tied in a bundle with some raffia. We use 15cm long cinnamon sticks in bundles of 5. 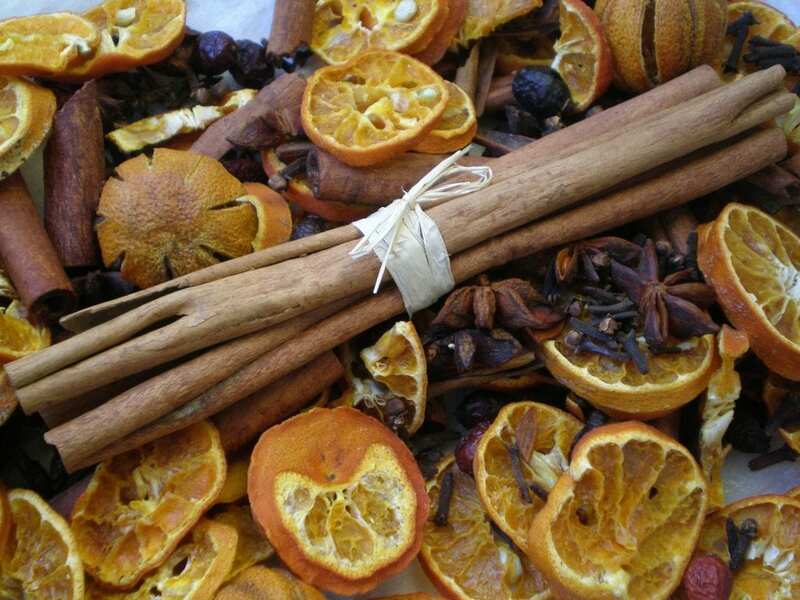 The completed cinnamon bundles have a great fragrance and can be used as tree decorations, small gifts, or as an alternative to potpourri. If you don’t fancy making your own, you could cheat and buy them ready-made in our workshop! Cinnamon bundles. Our cinnamon sticks are very popular at this time of year. They are 15cm long various pack sizes are available. 1) pour the oil into a small spray bottle (available from the travel department in a chemist shop) and spray evenly, making sure the surrounding area is protected from the oil. Or 2) Use an artists paintbrush to transfer the oil from the bottle and paint onto the sticks. More dried flower crafts to follow.